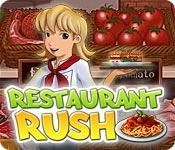 Heidi has graduated from Burger Rush, and now she wants to become a famous chef. The pressure cooker's on to create fabulous dishes in her cooking school. Grease the skillet and prepare 50 international recipes like Filet Mignon, Dim Sum, and Pizza Marinara. Visit the new Farmer's Market for fresh ingredients and use the jukebox to help customers like Supergeek feel right at home. 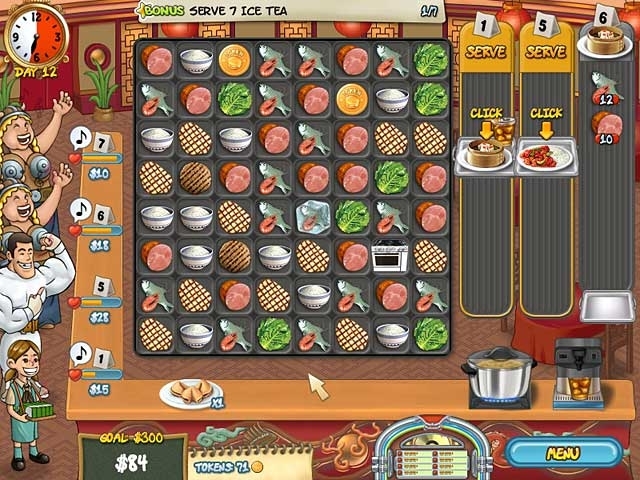 Restaurant Rush combines Match 3 game-play with Time Management strategy in 80 mouthwatering levels.